Dairy Quality Inc. is an incredible new innovation in milk quality testing. Somatic Cell Count testing with pathogen ID can now be done right in the milking parlor. 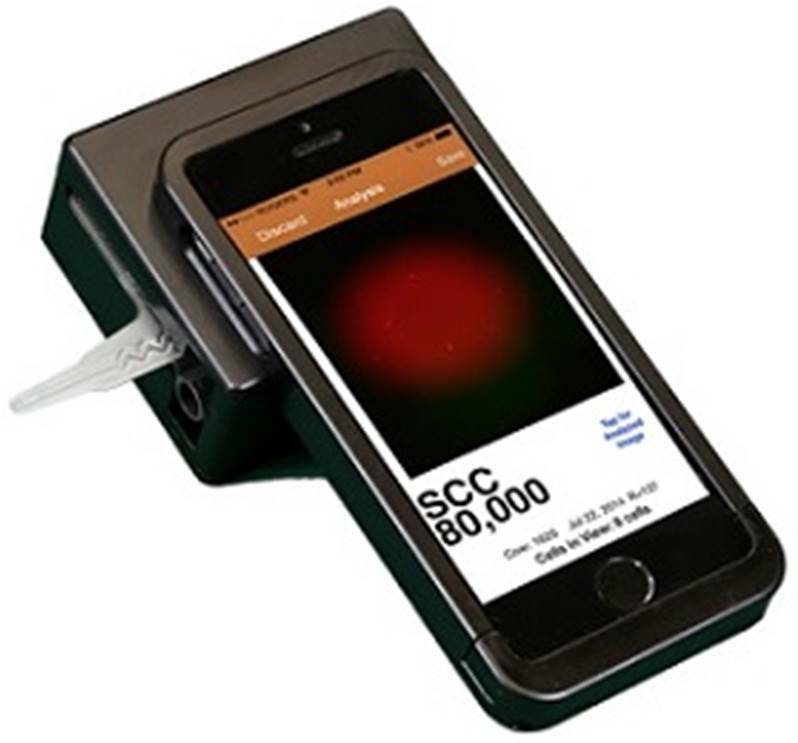 Using Dairy Quality’s patents pending technology and, amazingly, an iPhone®, accurate SCC readings can be determined in seconds, without the expense and time it takes to send samples off to the lab. All you need is the Dairy Quality kit and an iPhone with the mpengo DairyTM app installed (download from App Store).